In the 2017 Annual report released by Megafon, there is a lot of valuable information on what is it up to and what are its priorities. 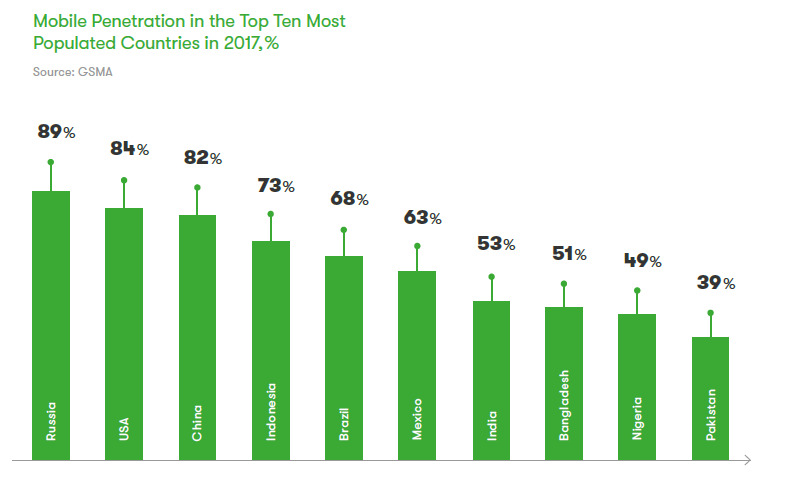 Russia prides itself with by leading the mobile penetration table of the top ten most populated countries in 2017 by GSMA. 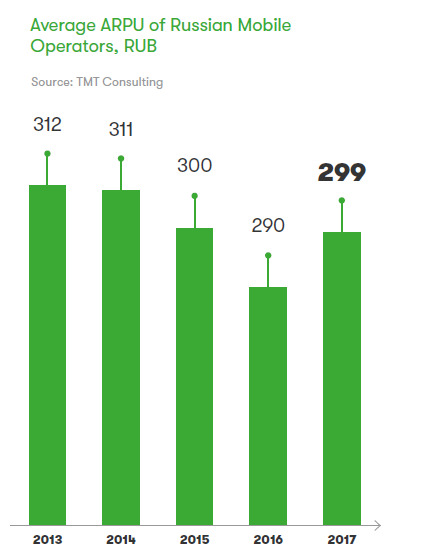 Russian telecoms is a rapidly growing market according to GSMA. According to AC&M Consulting, at the end of 2017, mobile connections totalled 255.4 million, with SIM card penetration at 179 %. Major Russian telecoms operators include MegaFon, MTS, VEON, and Tele2. Operators derive most of their revenue from mobile services, but, with the market approaching saturation, new growth areas become increasingly important, including above all digital services such as mobile TV, Internet of Things, system integration, and e-commerce. Mobile services remain the principal source of revenue for the Russian telecoms industry and account for more than half of the market. TMT Consulting estimates this segment’s share at 55 % in the total revenue for 2017. In 2017, the Russian mobile market recovered after a two-year decline. According to TMT Consulting, the aggregate revenue from this segment grew by 1.5 % to RUB 891bn as compared to a 0.3 % decline in 2016. This recovery of the mobile market is mainly due to weaker price competition among Russian major telecoms operators, operators phasing out unlimited plans, and strong performance of value added services in the B2B segment. Despite a steady decline in the recent years, traditional mobile services (voice and texting) still generate the bulk of the segment’s revenue. Voice traffic volumes, however, have remained almost flat. According to the Russian Ministry of Telecom and Mass Communications, the aggregate voice traffic of Russian mobile operators was 455.8 billion minutes in 2017, just a 1 % increase over the last’s year 452.1 billion minutes. The traffic growth was mainly due to the increasing demand for such mobile services as WhatsApp, Telegram, and Facebook Messenger. It was also driven by an increase in the share of stream video content viewed via YouTube and social networks. Own digital TV offerings from major telecoms operators and streaming music services are fast gaining popularity. For example, in 2017, MegaFon.TV’s subscriber base almost doubled, growing from 1.7 to 3.2 million users. 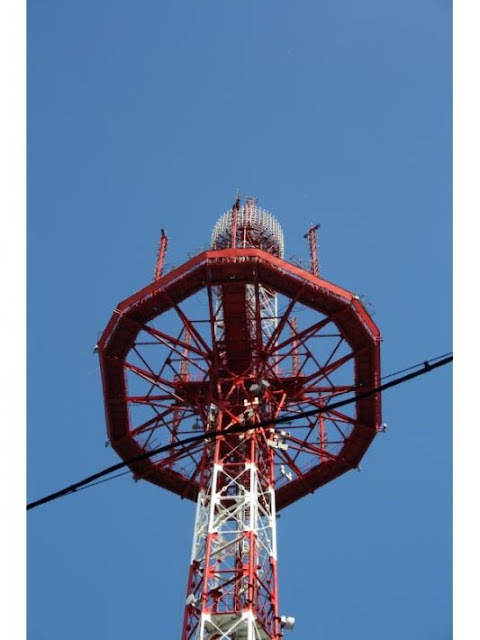 Telecom Daily estimates that at the end of 2017 over half of all mobile data traffic in Russia was attributable to 4G/LTE networks and generated by about 25 % of all mobile subscribers. According to TMT Consulting, LTE network users count 33 million subscribers, or 28 % of the total mobile subscriber base in Russia. According to GSMA, 55 % of all subscribers use 3G and 4G networks. Apart from 4G expansion and new tariff promotions, the increase in mobile data traffic is also driven by growing numbers of subscribers with LTE-enabled and widescreen smartphones. These factors prompt users to view and send more HD images and videos, boosting the traffic considerably. The traffic growth was also facilitated by new tariff lines, such as ‘Vklyuchaisya!’ (‘Connect!’). MegaFon is a leading mobile operator active in all segments of the telecommunications market in Russia, as well as in Abkhazia, South Ossetia and Tajikistan. The company is a technology pioneer, having been the first to cover all regions in Russia and to roll out commercial 3G, LTE and LTE Advanced networks. MegaFon is currently supporting 5G development, promoting big data and IoT solutions. Together with major Russian internet company Mail.ru Group, MegaFon is developing new digital solutions for individual and corporate clients. MegaFon is an expert at setting up mobile services for events of national and international significance, including the Kazan Universiade, Sochi Olympics and Paralympics, and as a partner of the St Petersburg International Economic Forum. 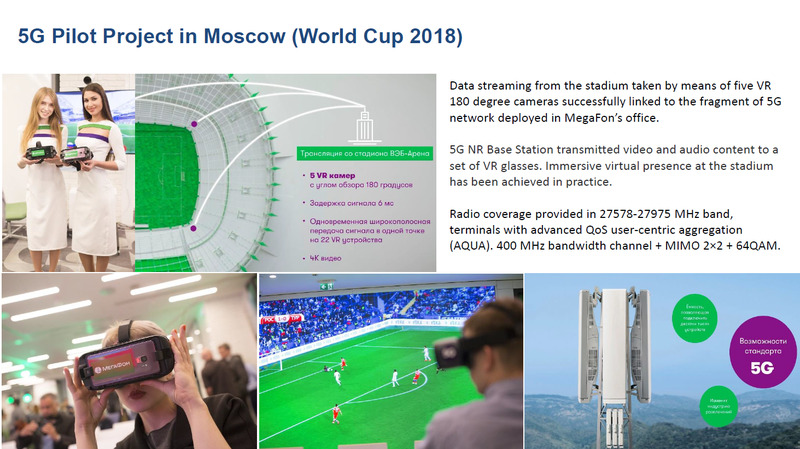 In 2017 MegaFon was appointed the supplier of infrastructure and additional services for the 2017 Confederations Cup and the 2018 World Cup. MegaFon was the first company to complete blockchain bond placement in Russia in October 2017, and one of the first to do so globally, with Raiffeisenbank purchasing the entire RUB 500m issue. In November 2017, MegaFon, AlfaBank and Sberbank made the Russian market’s first ever blockchain payment transaction, with MegaFon transferring RUB 1m to MegaLabs under the existing revolving credit facility agreement. According to Gevork Vermishyan, MegaFon CFO, "We were the first in Russia to make a blockchain bond placement and a blockchain payment transaction in 2017. These transactions support our drive to be a champion of digital economy in Russia. We believe that blockchain technology offers significant opportunities and has potential to become a new standard in transaction data sharing. We are excited to spearhead the digital transformation of the financial market. I would like to thank the joint project teams that made this breakthrough possible." 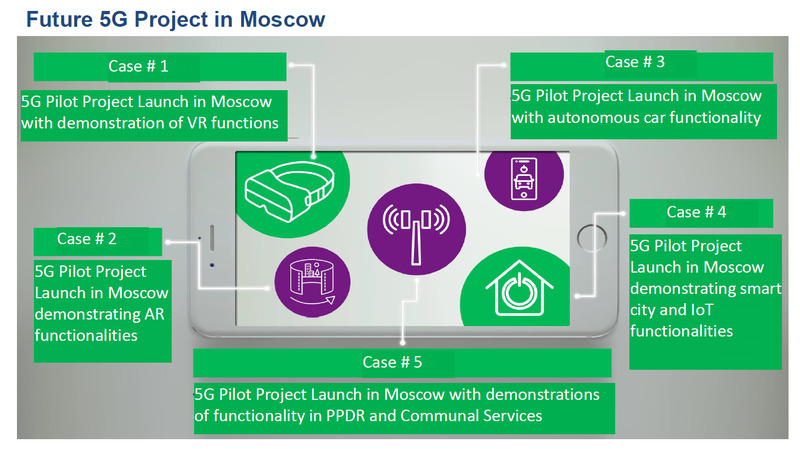 As all other large mobile operators, MegaFon is working on 5G. Last year, a press release mentioned that MegaFon and Huawei set an all-time mobile internet speed record for Russia, demonstrating the operation of a 5G network at speeds of 35 GB/s. 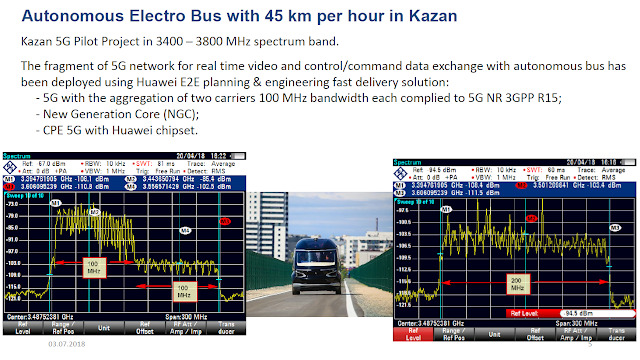 Another project in conjunction with Huawei is the Autonomous Electro Bus with 45 km per hour in Kazan 5G Pilot Project in 3400 – 3800 MHz spectrum band. This is using the 5G core with Huawei CPE amd uses the aggregation of two carriers, 100 MHz bandwidth each, complying to 5G NR 3GPP R15. Another 5G vendor is Nokia. At SPIEF’18 pre-commercial terminal equipment was demonstrated within the fragment of 5G network. High speed video streaming was successfully presented. 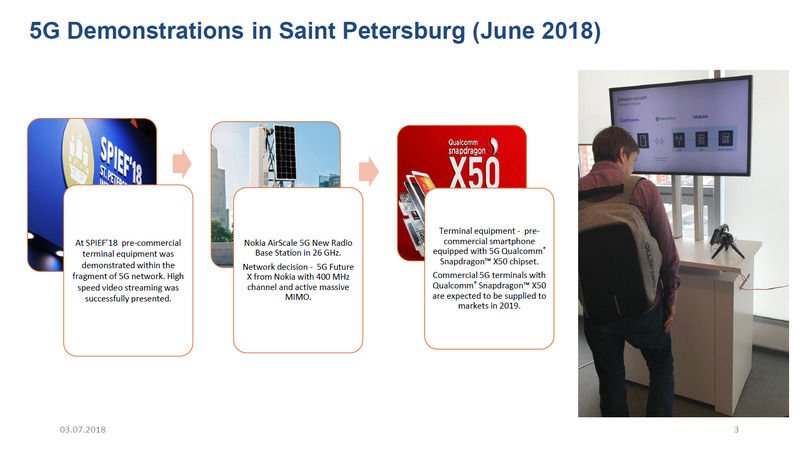 Nokia AirScale 5G New Radio Base Station in 26 GHz was used with 400 MHz channel and active massive MIMO. For the Terminal equipment, precommercial smartphone equipped with 5G Qualcomm® Snapdragon™ X50 chipset was used. Recently, the Moscow Government and Megafon have signed an agreement to develop services and new digital technologies across the city. The five-year cooperation agreement, signed by the mayor, Sergei Sobyanin, during the St Petersburg International Economic Forum, includes projects in the spheres of virtual and augmented reality, IoT, smart city technology and 5G. 5G is a key component of Moscow’s Smart City 2030 strategy, which is due to be approved by the mayor by the end of the year. We are looking forward to bringing more information on MegaFon when available.